William George Fusco, 97 of Coraopolis passed on Wednesday January 30, 2019. Born June 7, 1921 in Coraopolis, son of the late Gaetano and Julia (Deramo) Fusco; beloved husband of the late Virginia Elizabeth (Palermo) Fusco; father of William Guy (Kathy) Fusco of Moon Township and Linda (Michael) Hackett of Warren, PA, grandfather of Jason (Courtney) Fusco, Susanne (Smith) McAulay, Amanda Hackett, Greg Hackett and fiancé Emily Yarbrough, Joshua (Erica) Fusco; six great-grandchildren Sydney, Riley, Judah, Norah, Lisle, and Zella, brother to Angela (Tom Nolfi), Guy Fusco, Jr. He was preceded in death by brother Raymond, sister, Irene (Robert) DeWitt, sister-in-law, Dorothy. He was beloved by his many nieces and nephews. He was a 1939 graduate of Coraopolis High School and attended Geneva College. 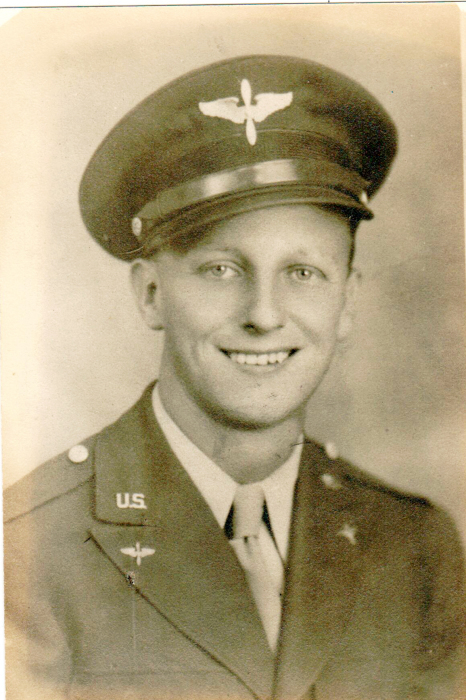 As a member of the Greatest Generation, he served his country in WWII as a radio operator and top turret gunner on a B17 Bomber in the Army Air Corps. Bill and his wife, Jean took pride in the home they built together in Moon Township where they raised their family, and entertained family and friends. He and his brothers, Ray & Guy were partners at Coraopolis Transfer & Storage Company, Coraopolis, PA and later he partnered with his brother, Guy, as owners of Towne Auto Parts, Bellevue PA.
Bill was an avid singer and was known to frequently burst into song bringing joy to others around him, especially his friends at Masonic Village. His family is grateful to staff at Masonic for their care, as well as his caregivers who were with him daily and treated him like family. He will be greatly missed by all. Grief changes shape, but always stays with us. Visitation Copeland’s Moon Township, 981 Brodhead Rd. on Friday from 3-8 PM. Funeral Service Saturday at 11:00 AM in the funeral home. Interment Coraopolis Cemetery with military honors. In Lieu of flowers family suggests donations to PA Special Olympics or to charity of your choice in Bill’s memory.